I recently went to one of our Thermomix branch meetings where Kirsty gave a talk about yoghurt making and shared her tips for getting perfect thick creamy yoghurt. You can find her blog and posts on that topic here. There has been a bit of discussion on my Facebook page about yoghurt making so I thought I should share that info here. I use the yoghurt recipe from the Indian cookbook. There is also a popular coconut yoghurt recipe here on our Recipe Community. 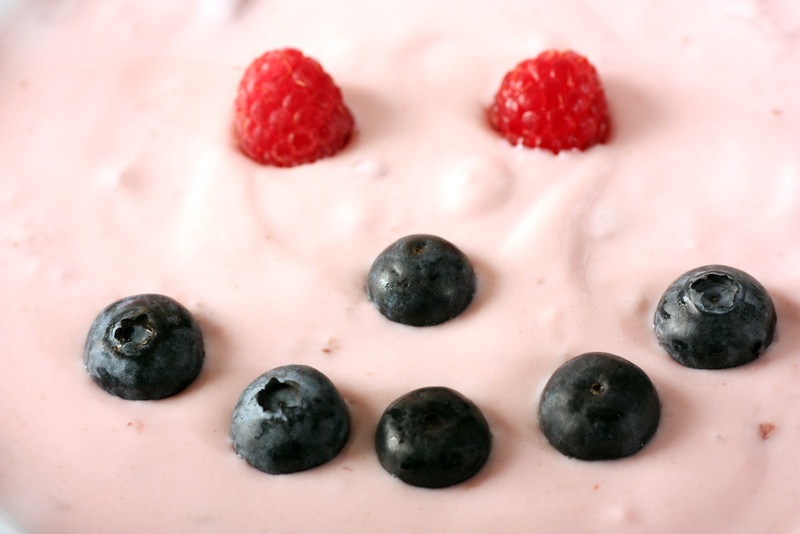 2 to 3 Tbsp natural live yoghurt – this is your “starter” culture. Use the best quality one you can find. Add yoghurt starter to the milk. Mix 5 seconds/Speed 3. Heat 10 minutes/37°C/Speed 2. As soon as the yoghurt is finished, pour it into the pre-warmed thermoserver, put the lid on and leave to set for 6 to 14 hours. Once the yoghurt is set, it can be used immediately or refrigerated (remove from thermos first) for up to 5 days. When you are cooling the yoghurt, wait until the 37 degree light goes OFF, as if you are watching the temperature drop and see the 50 degree light go off and the 37 degree light come on, that actually means the temperature is 49 degrees and this will kill your live cultures. So wait till the 37 light goes off and then you add your culture and warm it back up to 37 for 2 minutes. You can let your yoghurt sit in here for 6-14 hours. It will thicken up a little more once you chill it in the fridge. You can also drain the whey from the yoghurt to thicken it up, by lining your varoma dish with some cheesecloth or a clean chux cloth, putting your yoghurt on top and sitting the varoma dish on top of your Thermoserver until the yoghurt has thickened up to your liking. Or let it drain overnight and the result will be yoghurt 'cheese'. Keep the whey you drain away....that lovely, thick, golden liquid can be used in many ways. Have a read here at The Prairie Homestead for ideas on how to use whey. Making your own yoghurt is one of the best money saving features of owning a Thermomix and if you go through a few litres of yoghurt a week you can save around $8/week just on yoghurt! Don't be scared! Give it a go!! My first yoghurt batch was quite runny but still edible, but when I tried again with the above two tips I found it has been perfect every time. Great Blog Post - do exactly the same with my thermoserver in the oven etc - though you actually need to be careful with cooling the yoghurt too much - that can also make it hard to set (especially if relying on a bought yoghurt for the culture as they are much older). Your presenting consultant is absolutely right about when the 50 degree light goes out it can still be 49 degrees, which is too hot, but you actually want to add the culture between 37 and 40 degrees. Approximate is fine - so a little while after the 50 degree light goes out - do a wrist check, it should feel slightly warmer than blood temp, (like a baby bottle!) Some cultures won't set if you add too cold. You need to mix on speed 3 a couple of times to really check the temp. Loving your blog too by the way! Great tips! I made my first lot last night which I'm proud to say I've just checked & it was a success! There are a couple of new things here though that I didn't know so will definitely use next time.